Puppy pedigree and clearance information on k9data http://www.k9data.com/pedigree.asp?ID=382819. Polly comes to us from One Ash kennel in Cleveland, Ohio. We are very excited to announce 9 healthy pups were born July 1st (7 girls & 2 boys.) Polly and Trooper are very much type to type for structure and temperament and this pedigree combines outstanding field competitors, top producers of performance Goldens and top Champion Goldens from England. We expect puppies that are fast, focussed retrievers that have the ablity to excel in hunt tests, agility, tracking, SAR, obedience, rally and possibly conformation. Both Polly and Trooper have an OFA Good Hip Clearances (Trooper has a Penn Hip rating of 90%), OFA Normal Elbows, Current CERF Eye Exams (within 12 months), both are PRA/prcd clear, OFA Heart clearances(Polly was recently checked by a Board Certified Cardiologist and was rated equivocal due to a mild valve condition that was noted: "may resolve after her estrus" There wer no signs of SAS or any other genetic or congenital heart disease and she will be rechecked within 12 months.) Both have normal thyroid function, they are not on any medications, have had no allergies, skin problems, seizures or other auto-immune disorders. For more pictures, browse through the slide show below. Polly is such a gem, we can't thank Elaine enough for allowing us to breed her and bring her into our lives. She is very much a sweetheart, loves people, other dogs, cats, children and travels easily, taking life in stride and ALWAYS wagging her tail. She is a perfect house dog, calm and loving yet she still possesses a very strong desire to chase and retrieve when given the opportunity. At 6 1/2 she has matured into a very athletic, sound representative of this breed. She is a balanced, clean moving retriever and may have done well in the Canadian show ring. She posesses a moderate drip dry coat with ample feathering, beautiful head piece with sweet expression, dark eye, full dentition and scissors bite. She has a good length of neck, good shoulder layback, solid topline and very powerful front with a strong keel and elbows well set under her. She has the proper ratio length / height at withers 21" and weighs 60lbs. Her rear is strong, good bend to stifle, tight feet, proper tail set and carriage. She is a very pretty girl and structurally very sound. (very similiar to Trooper considering this is such an outcross (less than 1% inbreeding coefficient in 12 generations). Polly has been known to scale a fence or two and hunt bunnies or go swim about. She is very athletic and we can't wait to train her for hunt tests. 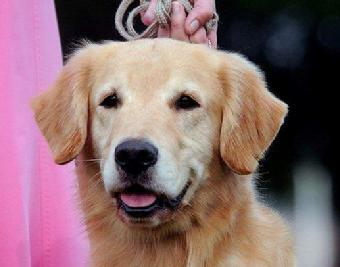 Trooper is an outstanding representive of a Golden Retriever,. He is physically very sound, powerful, well muscled, balanced and a great moving dog. There are plans to show Trooper in the breed ring along with running him in Master hunt tests and Field trials this year, a true dual competitior. <?xml:namespace prefix = o ns = "urn:schemas-microsoft-com:office:office" />I had the pleasure of spending a week with Trooper in his home while breeding to Likah. He is a wonderful house dog, playful with the younger intact male and very calm and relaxed, very much a gentlemen. When you watch him train in the field, it is all about the retrieve, very fast and focussed and one of the stronger water Goldens I have seen. He has all the drive, trainability and confidence to take his owner all the way in field trials. Amatuer trained and handled by Jim, they will for sure enjoy the journey together. 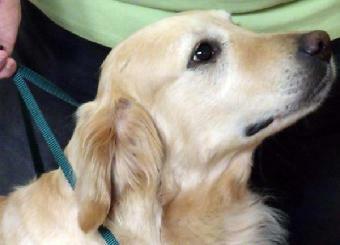 Trooper is a handsome, healthy, happy golden who proves you can have it all. He is light-medium gold, height 23" at the withers, weight 74 lbs, correct scissors bite, no missing teeth, excellent dark pigment and overall correct conformation. He is raised in the home and has an excellent playful disposition getting along with other dogs, people and all that he comes in contact with. His has the attitude that �life�s a party thrown in his honor�. While he is happy, he is not a hyper dog at all. In fact, as a house dog, he is quite calm, quiet and fits in well wherever he goes. Trooper is currently running field trials and hunt tests. He started his field trial career in 2008 with back to back qualifying stake 4th placements, earning him two field stars (**). He also completed three series in his very first Open All-Age stake and qualified in all three of the Master Hunt test stakes that he ran (off to a promising start). 2009 was a disappointing year for us when Trooper ended up with a groin tear injury and that sidelined him from all the trials. He is now fully recovered and the immediate goals for Trooper are to complete the Master hunt test title (planned for spring 2010) then concentrate on All-Age stakes in Field Trials. News flash: Trooper entered a Qual and WON it then got his 4th MH leg the next day! Long range consideration is also being given to a possible bench (show) career either in <?xml:namespace prefix = st1 ns = "urn:schemas-microsoft-com:office:smarttags" />Canada or possibly the US. (He is that handsome and talented.) Trooper was the only dog to earn the "Triathalon Award� at the 2008 Golden Retriever Club of America�s National Specialty. (he earned a Master hunt test pass, won the Field Trial dog class in the show ring and earned a Rally Novice pass in the obedience ring) By winning the Field Trial dog class he ended up being shown in Best of Breed with all of the well known show dogs�and you would be hard pressed to pick out who was the field dog in the ring. This is what his handler Laura Weinmann had to say "Trooper is a spectacular creature physically. There are few talented dogs I encounter that have the correctness that Trooper has. He is in - my opinion- the description of moderate. I see nothing but a solid dog, he is a great mover and when I show him, he is as smooth and graceful as my finished champion dogs. There is nothing clumsy about him. He can be a goof at times and always enjoys life to the fullest. He is truly the dog that everyone loves!" Trooper has an excellent training attitude. He is athletic, fast, stylish, confident, run blinds with percision, has a powerful water entry and a very good water attitude. He LOVES to train and has a very nice combination of drive and desire to please. He makes terrific eye contact as if to say �what do you want me to do for you�. He trains easily, relaxed, confident and a total team player. Trooper comes by his attributes honestly. He is very similar in many ways to his father Maverick (Pine Run�s Top Gun, CD,MH,***, 1995 Master National Finalist, 1999 #7 US Open Field Trial Golden, BOVSS), who was also quite a handsome dog, with proven field accomplishments. Both Trooper and Maverick have been totally amatuer trained and handled, although Trooper has had a few months of professional help in keeping in shape during the long winters in Pennsylvania. Contact Barbara Loree if you are interested in a puppy from this litter.